From the first time a mother hears her baby cry, her instinct is to love, protect and care for her precious bundle of joy and provide him/her with the very best, which includes warmth love and a healthy balanced diet throughout the various growth stages. After being very cautious with deciding on what is best for baby regarding breast milk or bottle milk for the first few months, baby begins to grow and should be weaned off milk and introduces to solids. The best solids to add are home-made fresh purees with no preservatives or unhealthy additives. This introduces your baby to fresh natural tastes while giving all the nutrients their developing bodies need. Make sure you explore all their taste buds, from sweet to sour so they can acquire a taste of food from all aspects. 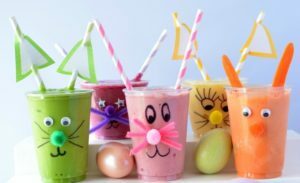 Here are a few recipes for growing and active babies and toddlers. Most books written on nutrition for babies, involve what the general public considers as ‘healthy’. As a parent always invest in recipe books that promotes preservative free, nutritious, balanced meals for baby. The list is endless of the variety of healthy foods that can be blended in the Vitamix or Oscar and so give your baby the vitamins and minerals that he or she needs. Place the sweet potato and carrot in a steamer basket over a saucepan of simmering water. Steam for 10 minutes or until tender. Add the broccoli and steam for 5 more minutes or until the vegetables are tender. Process the sweet potato mixture in a Vitamix blender until smooth. Serve warm.